I could not have asked for a better expierience, from the first phone call to the signing of the final papers, we were selling our family home and Chris and his team were so very helpful to us, we honestly did not know much about the process at all and Chris made us feel very well cared for and safe throughout all of it. He went above and beyond what we expected and became a “friend” to us, in the process. I would recommend Preemer for anyone’s real estate needs, we sold a home but I feel he would be as great if we were buying also, a very trustworthy company. It was our pleasure working with Matt to find our first home. Matt was reliable and responsive. He answered our many naive questions about homes as we started the journey. He was available or adjusted his schedule to accommodate us in order to visit a large volume of homes in the Greater Boston area over several months. Perhaps most important to us was Matt’s enthusiasm. He was always optimistic and positive that we would find the right home although we always found a small detail about a home that we didn’t like. When that day arrived, we all knew at the open house that it was THE HOUSE. We submitted a competitive offer that was accepted by the seller. Without Matt’s balance of patience, optimism and determination, we would not have our dream home. Matt stayed closely in touch and addressed our remaining concerns before closing. If we had to go through this process again, we would definitely want Matt on our team. My wife and I would love to thank Matt McLaughlin for his help in aiding us in our search for our first home. Matt went above and beyond for us in our time of need. We had a couple homes fall through (due to issues on seller side) but with the help of Matt and the Premeer staff we finally closed on our first home and have never been happier! I would definitely suggest Premeer Real Estate to family and friends in the future. Matt helped us purchase our home recently. He was always there to walk us through the entire process, answering any and all questions we had! He is hard working, and has a real passion for his job. We started with a Realtor, but gained a good friend in the process! Thank you again Matt for all you've done, we certainly appreciate everything you did for us!! We will certainly spread the word! Matt rocks! He went above and beyond to help us score the perfect starter home! He was always available and was great from our first meeting through closing! I highly recommend him! Working with Shelley made the process of buying a new home very easy. 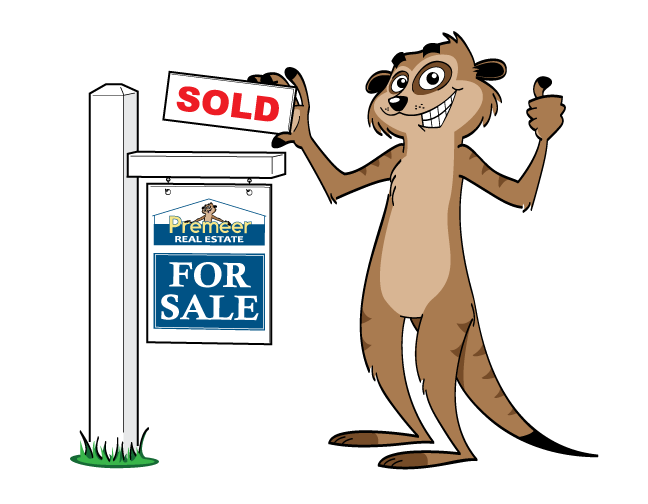 Being a new home buyer can be scary and overwhelming, but Shelley kept the process very smooth. She was awesome and available whenever we needed her. The flexibility around all of our work schedules and with our kids was amazing. I don't think there is any other realtor that would have meshed so well with my family. Also, her recommendation of Brian Whitten at Shamrock was perfect. Between the two of them, they made everything make sense. Things went smooth from start to finish and now we are very happy in our brand new home with no hiccups along the way. Our experience with Danielle at Premeer Real Estate went above and beyond our expectations. Not only did Danielle successfully sell our home in a short amount of time, but she made the entire process simple and honestly had us laughing which is a feat in itself at such a stressful time. She is currently working with us on our next adventure and we are confident that she will get the job done. She always has her clients best interest in mind and we can’t wait to close on our land! After several months of contemplating if we should purchase another home we decided it was time. For the second time we went with Premeer Real Estate since they did such an outstanding job selling our first home yeas ago. No questions or phone calls went unanswered leading to a quick and smooth transition from renter to homeowner once again. Chris Whitten, Shelley Ferrage and Sheryl Corriveau are all top notch in our book! We would highly recommend this real estate team! Thank you for your outstanding service. I recently purchased my home with Heather McIntyre’s assistance. Heather not only helped find the perfect home for me but also introduced me to a great insurance company, lawyer and lender. She handled most everything for me while keeping me in the loop every step of the way. Heather really went above and beyond for this first-time homebuyer and made it a great experience. My husband and I decided it was finally time to buy our first home and we immediately knew we wanted Shelley Ferrage to be our Realtor. We have kids in the same grade and got to know each other at sports events. She was always very warm and welcoming. When we started this process we were terrified and did not know what to expect, we had absolutely no idea what to do or who to call. She recommended Brian Whitten at Shamrock financial for our mortgage guy and between the two of them we could not have asked for a better experience! Luckily we found the house we wanted almost immediately. She knew we wanted to stay in Uxbridge and helped us find our home after only a few weeks of looking! During the process I had lots of questions and Shelley was always there to help, she responded immediately to any text email or phone call. When we found out our offer was accepted she called right away to share the joy with us! I felt like we were all a team. I honestly kept waiting for something to go wrong, I have heard so many horror stories about buying homes but I could not have asked for a better experience. Everything went so smoothly from start to finish with zero issues. We absolutely love Premeer real estate and Shelley Ferrage! "Being first-time home buyers we were completely unfamiliar with the entire process. Chris from Premeer Real Estate guided us every step of the way and eased any worries or concerns we had. We certainly faced a few roadblocks along the way, but Chris was always there to reassure and lead us in the right direction. After looking at more than 40 houses until finding 'the one', even we were getting frustrated and questioned whether we would ever find our home. Chris though, was always patient with us and never made us feel pressured or rushed to make a decision. He was always able and willing to give us great advice and information regarding each property that we saw and was instrumental in helping us make the right decision for our family in selecting the perfect house. Once we found our home, he worked diligently in our favor to negotiate the right price and move the process along quickly. It was great to know that we had someone we could always call or e-mail about any concerns we may have and he would get back to us with a response promptly and always offering his best advice and input. We would highly recommend Chris and Premeer Real Estate to anyone looking to buy or sell their home."